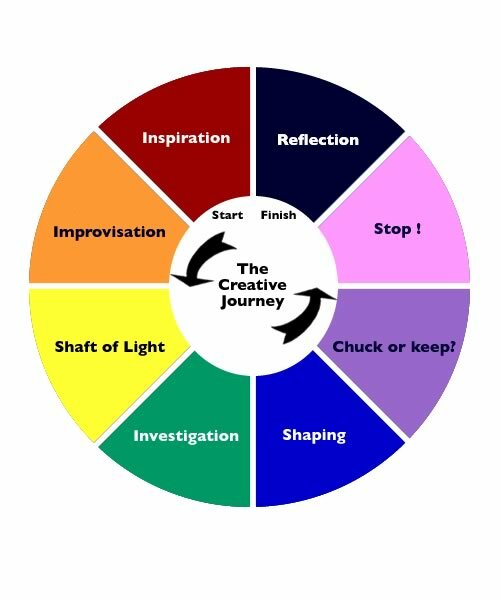 For more on each stage of the learning journey click on the appropriate part of the central wheel. What is my original idea? What do I think about it all? Enough is enough perfection or far enough? Does it all still make sense? Do I carry on or abandon this idea? What have others done in this area?